The officials of Air India Limited have announced the recruitment of 180 Trainee Pilots (CPL Holder from IGRUA/Open market) position. All the eligible candidates may apply online from 7th August 2015 till 27th August 2015. Age Limit: Candidates age should be 35 years (upper limit), 40 years for SC/ST and 38 for OBC candidates as on 27th August 2015. Age relaxation would be given to Ex-servicemen as per the rules. Educational Qualification: Candidates should have completed 10+2 from authorised /recognised board/ university with current CPL/ATPL, Flight Radio Telephone Operator’s Licence, C.O.P./R.T.R., Class-I Medical and valid ELP on CPL/ATPL. Selection procedure: A written test would comprise of an aptitude test, technical knowledge test, psychometric test and a personal interview. On successful completion of training, candidates will be appointed as Co-Pilot on contract for a period of 5 (five) years, extendable for another 5 (five) years subject to satisfactory performance. During the period of contract, selected candidates will be paid Salary of Rs.80,000/- per month which will be inclusive of Dearness Allowance, House Rent Allowance and other allowances. In addition to above, they will be paid Flying Allowance @ Rs.1500/- per hour. In addition to above, Layover Allowance will also be payable, if applicable. Application charge/Fee: Rs. 1500 (non-refundable) in the form of demand draft drawn in favour of Air India Limited, should be payable at New Delhi. SC/ST and Ex-serviceman candates are exempted from the Fee. Date of submitting online application would be 7th August 2015. Last day of submission for online application is 27th August 2015. The official announcement from the Office of the Chief conservator of Forest for the recruitment of 1194 Wildlife Keeper or Forest Guard. The eligibility criteria for application are as described below, which should be submitted on or before 25th August 2015. Steps for applying: Candidates who are eligible for this post may send their application and copy of all the documents which are essential to Office of the Chief Conservator of Forest, Uttarakhand, Dehradun on or before 25th August 2015. Last date for Receipt of Application is 25th August 2015. Last date of Document verification is 31st August 2015. Last date of written test (For Samayuk Karmakar) is 13th September 2015. Last date of written test (For Open recruitment) is 20th September 2015. Last date of written test results (For Saamayik) is 18th September 2015. Last date of written test results (For Open) is 27th September 2015. Date of final selection list would be displayed on 30th September 2015. For more details on this job post click on the link given below, it contains official information on how to apply for this job. 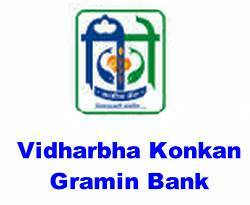 Vidharbha Konkan Gramin Bank (VKGB), Nagpur has issued notification for recruitment of the Officer in Junior Management (Scale I) & Office Assistant (Multipurpose) vacancies. Candidates who have appeared in the Common Written Examination for RRBs conducted by IBPS in September/ October 2014 and have valid score card can apply online from 11-08-2015 to 25-08-2015. Age Limit: Candidates age limit should between 18 to 28 years for Officer Scale I & Office Asst posts as on 01-06-2014. Age relaxation is applicable for SC/ ST/ OBC/ PWD/ EXS/ Widows/ Divorced women candidates. Educational Qualification: Candidates should possess Degree in any discipline from a recognized University or its equivalent for Officer Scale I & Office Asst post. Selection Process: Candidates would be selected on the basis of score obtained in IBPS CWE in September/ October 2014 and Personal Interview. How to Apply: Eligible candidates can apply online through Bank’s website www.vkgb.co.in from 11-08-2015 to 25-08-2015. 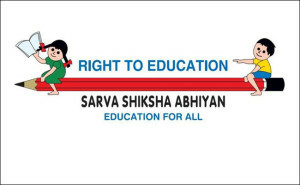 District Project Office Sarva Shiksha Abhiyan (SSA), Mayurbhanj has released notification for the recruitment of 271 Part Time Instructor (Physical Education, Art Education) vacancies in Mayurbhanj District. Eligible candidates may apply in the prescribed application format on or before 27-08-2015. Age Limit: Candidates age should between 18-42 years as on 01-08-2015. Age relaxation is applicable 5 years for ST/ SC/ Ex-serviceman/ Women/ SEBC candidates, 10 years for physically Handicap persons as per rules. Educational Qualification: Candidates should possess +2 with CPED/ Degree/ Post Graduation Degree in Professional Education for post 1, BFA & BVA/ B. Must for post 2. How to Apply: Eligible candidates may send their application in the prescribed format affixing oneself signed passport size photograph on it along with attested copies of all relevant documents through Speed post/ Registered post to the District Project Coordinator RTE/ SSA, Mayurbhanj on or before 27-08-2015. Last Date for Submission of Applications: 27-08-2015. 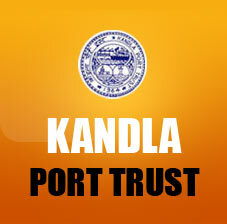 Recruitment for government job with Kandla Port Trust, have released their official notification for 2015 vacancies. There are total 26 nos. Of vacancy for various posts varies from Mechanic, Fitter, Electrician, programmers & systems admin, welder, wireman and other technicians. Candidate should have minimum 10th pass and along with that ITI in electrical or mechanical engineering from recognised institute. All the candidates should not be more than 28 years. There are age relaxation applicable as per rule to all the reserved category as on 1st July 2015. The applicants must have finished their 10th class along with ITI and diploma in Mechanical / Electrical engineering from recognized institute. There would be a written exam and personal interview/ viva voce test conducted by Kandla port trust for the applicants. Applicants who are seeking employment are advised to send their applicant form along with all the necessary documents to the address mention below. Last date for making the application is 15th July 2015.